Golden trails 2: The Lost Legacy Collector's Edition was available as a giveaway on January 23, 2016! In Golden Trails 2: The Lost Legacy, you play the role of Henry whose Grandfather is accused of piracy and condemned to death. Travel four continents, find the ship’s logbook and its missing pages to find out the truth about your grandfather’s past and save his life! But there is much more behind this story… Long forgotten legend, lost legacy and love story await! How would you improve Golden trails 2: The Lost Legacy Collector's Edition? Convoluted story line that doesn't hold up to too much scrutiny and didn't make much sense. But an enjoyable HOG despite that. Nice graphics and good HOG scenes, and a nice variety mini-games thrown in. The game allows you to collect achievements to unlock additional scenes which is a nice touch. While the story line had issues I did appreciate an attempt to have an original story in a HOG that didn't include haunted houses or evil scientists running amok. I know this is delayed, but I just would like to comment on Golden Trails 2 : The Lost Legacy, that was a giveaway on 23rd January. Unfortunately I was not able to play it until now, due to a medical crisis with a close friend and me getting flu. This is a very enjoyable and addictive game, hard to stop once you begin it. So, thank you all very much for this, and I highly recommend it. A HUGE "thank you" to the generous people who donated this game for free. Hi there. I would appreciate some help regarding Golden Trails 2 if possible please. It downloaded and installed okay and I played it for awhile but when I got to the 'Jail' level it crashed. Ive tried it many times but it always crashes at that level. Has any one else had that problem? Can anyone help me with this issue please. I have downloaded Golden Trails 1 and had no trouble at all - it was a good fun game and Id like to be able to play GT 2 so any help would be appreciated. Im running Vista but as I said, GT 1 worked and still does.... Many thanks in advance for your help. I tried installing this game 2 times yesterday and both times I got a message that the game was activated, but couldn't find the game installed anywhere on my PC. I have downloaded many of the higher rated games and programs from here before with no troubles at all. I loved the 1st Golden Trails game, I hope this one comes around again soon so I can try it out. One of the very best HOG I have played. MANY Thanks to GOG and the developers! Hi, I can not get it to work. it keeps saying Setup.exe has stopped working - close program or look on line for a solution. I am using windows seven and have never had any problems with your games before. What do you suggest I do. Hi Lucky Phill, firstly check the event log to see if there are any error messages associated with the problem. I'd re try installing first then immediately check the logs to see if you can find anything. If not I suggest you check the problems section of my review above (see comment number 1). The usual culprit is your malware security software. The game wrapper is protected by Themida code, which is sometimes seen as a threat, but in this case it is safe. You may need to temporarily turn off your security to install the game. Win10 64bit Home. Excellent game. I played the first one and this one is just as good. Downloaded and play perfect. Thank you. It was unseasonably warm here as well---until this huge blizzard (still going on)! Hope this doesn't repeat itself in Europe, where I'm headed in a couple of weeks on business; as you've said, it's been weirdly warm there, too. Have played quite a bit today since stuck inside, and enjoying this one. Damn you got me with this one. Download and installation without a problem - what a surprise it started in German (and also most of it correct translated) - nice for once but no problem if it's in English - sometimes the items are a bit hard to find. Some more clues for impatient people like me would be nice. Graphics are nice, a bit old school. Thanks for the game! Downloaded easily on win 7 64 bit. I played through a few buildings, but I am going to pass on the rest. I have a 24" monitor, but the scenes are so dark and monochromatic, and the items so small, I don't even see them when the hint button outlines them. I just click in the area and hope to hit it correctly. I don't think my eyesight is so bad, but this is too much eyestrain for me. I'm lovin' it so far... just a bit too tired to continue playing, and also to make a comment of any real value, so suffice it to say that this one is a keeper for me, and I will play it repeatedly. I very much like that they keep you on your toes with the bandits popping up every now and again, and as already said in response to @takiainen's comment, shooting them earns hints and also awards when you reach certain tallies… much more satisfying than simply waiting for the hint function to recharge! Really nice graphics too - except of course for the animated scenes, which could be better - some of the hidden objects are seriously hard to spot, so it doesn't get boring too quickly either. All in all, well worth the space it's now taking on my PC. Good grief! I'd very much like to meet these pre-school children you speak of, because I have personally never met a pre-schooler that possessed the reading, logic, and coordination skills they would need to get through a game like this! Ok, I already managed to change the language. I renamed the file "string-table_nl.lua" in the folder assets/data/scripts/system to "xxxxstring-table_nl.lua" and "string-table.lua" to "string-table_nl.lua" and that did the job! Come on, Erick, Erick, My Name is Erick! I made my original post six hours ago, and it hasn't been moderated yet. Somebody needs to do their job. I like the graphics. They are very detailed and smooth. I especially like the scenes overall. I really like the picture list. 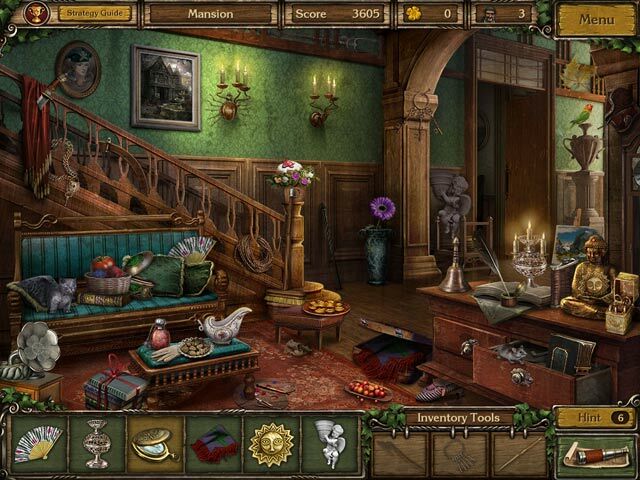 It is a nice change and easier for me to find the hidden objects. Thanks Immanitas for the gift today. I was all excited when I found it. This is on my agenda for the entire day since I am buried in 21 inches of snow. What a great way to spend the day (it could be days)! Thanks GGOTD and Stephen for all of your hard work to deliver this gift today. Beautiful graphics and some cleverly-hidden objects. Enjoyable thus far. Thanks for the freebie!! Just to be safe, I'd reinstall the game and also check the event logs to see if there were any error messages related to the activation, that said, if it's playing now with no hint at being a demo (usually when you turn a demo off it will tell you ho =w much time is left on the demo) it's probably okay. is it posible to install it in english on a dutch computer?? Nice game! Runs well on Win8.1 on Dell laptop. Good graphics, nice music, looks like a good story line. The HOs are well enough defined that they can be seen on this 15" screen. Thanks, GGOTD and Immanitis! @Moderator: thx for your continuous efforts you pour into this site. I'll help you out with your score - it's 7/10. It's ALWAYS 7/10. Every week! Nice! It accepted my resolution for windowed mode, I can use my own cursor instead of the game's cursor, and it runs fine on Windows Vista. I recommend a mouse to catch the bad guys that pop up every so often, each one gives you one more hint point, so that's why you run out of hints in the game, if you haven't been shooting regularly at the bad guys in the HOG scenes. If you need a hint badly, you can take a break from the search and wait for one of them to pop up. I sounds like Visor² is being sarcastic. If so, all I can say is something about looking gift horses in the mouth... I, for one, am thrilled at Whiterabbit's selections. As one of the more senior of the Senior Citizens, I would like to say that I enjoy these HOG's. Thanks for deep review. Graphics and play style look like a keeper. Snow weekend at long last so have chance to dig into this between bouts of 4 Elements II. Downloaded, installed (extracted, which I do prefer! ), and running fine on Win 8.1. Even at the early stages, the HOGs are a tad challenging, which I appreciate and the bandits popping up keep me alert (while I'm not a "shoot 'em" kind of gal, I just pretend I'm scaring them away :).) And excellent addition to get me through a HUGE BLIZZARD that is inundating us right now (at least as long as I have power!). Hope you're all warm and dry! Here's BINGS translations for all of you who just like me just have to know what this says! Today no need to break the head to play in french. The game installs directly taking into account the location... the pc. BRAVO and thank you to the developer. Golden Trails 1 was one of THOSE games when I played it a few months ago. I LOVED loved the first few scenes. They left me think that the game was as COOL as Fonzie. But after that it was as BORING as Richie Cunningham. I just didn't like it. I finished Tales of the Orient: the Rising Sun yesterday! All 100 levels in the book! Now I'm enjoying free play! Replaying each of the final levels in each of the three modes to see which one end fastest. (Almost always SWAP mode FYI!) Gotta admit this game is only 25 steps under FISHDOM (Ahhhh!) That's pretty good considering the next closest game is about 125 steps under FISHDOM (Ahhhh!) It's a gold medal winner! (Insert the Lone Ranger music here.) I love it more than you love it! Thanks, WHITE RABBIT! May Jefferson Airplane live forever! Aujourd'hui pas besoin de se casser la tête pour jouer en français. Le jeu s'installe directement en tenant compte de la localisation...du pc. BRAVO et merci au développeur. Thanks for today's game - just my cup of tea. I downloaded it onto my laptop using Windows 10 home, no problems - but when I tried to put it on my desktop running Vista, it seemed to be fine until I tried to play it - then all I got was 'unknown error' - so perhaps it just doesn't run on Vista? I enjoyed, with a couple reservations, playing "Golden Trails" and so I purchased "Golden Trails 2 CE" during one of Playrix's rare specials. "Golden Trails 2 CE" has a completely different theme and different characters, as well and I enjoyed it too and can recommend it to anyone who enjoys the HOG genre. Me Either!!!!!!! And I'm an older mature man many years removed from childhood. Downloading took circa 3 minutes and I played first few scenes noticing that finding objects scores points as well (don't know what for yet, apart from instant 'trophies'), so that's something taken from TM Games and combined with HO, nice. Looking forward to playing more of this Game, making change from all 3 'Ominous Objects' CE I've been playing lately, thus giving my eyes much needed rest from being blinded by those shattering mirrors ha ha, as good and cute (oh Mr. Jenkins, the cat! :) as these Games truly are. But for now - I recommend GoldenTrails2 The Lost Legacy. Love the graphics and dynamic play (some objects to be collected in different locations as help button tells us) Cheers to GGOTD, Stephen and Immanitas. Lovely Gift! Thank you for your excellent feedback Fran :) We were given the first in the series, Golden Trails: The New Western Rush about 4 months ago. Unfortunately I've not had time to play the game fully this morning. hoping to get some time this evening, though I did promise I'd visit Tamriel with my daughter (The Elder Scrolls Online), so probably won't get the chance. A true HOG with very limited hints. I think it would benefit from typical 'charging' hints - run out of hints and I'm not going to play it again. This game is addictive and challenging at the same time , thanks anyway. You have to accept some illogic -- people can travel to a foreign land within a day, it seems, on a sailing ship, and people from home land are already there (!) -- and you have to shoot anyone -- bandit or pirate -- who shows up in your scene: I'm happy when people drop in to say "hi! ", but in this game, you have to assume they're bad guys and shoot 'em. Despite the story not completely making sense, and the fact that I don't like Shoot-em-Ups, I really like the clear, bright, and beautifully done graphics of this game: thumbs up! We were given the first in the series about 4 months ago (Golden trails: The New Western Rush). Golden trails 2: The Lost Legacy is very similar with respect to the mechanics, puzzles and quality graphics. 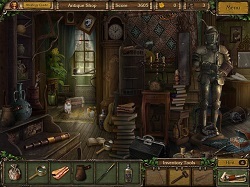 It's a subdued but nicely created Hidden Object game with excellent puzzles. The game was kindly donated by Immanitas Entertainment. Thanks a million for continuing to give us some excellent games. If you miss today's giveaway it is available free 24/7 from Gametop but not from MyPlayCity or tooMky Games. The advantage of installing the giveaway version is that there is no chance of getting toolbars, home page changes, browser changes, and your browser is never opened to the donators web site when you close the game down, like it is if you get the game from any of the other free arcade game sites. If you want to get a feel for the game before you download it, there's a free online version available HERE. Golden trails 2: The Lost Legacy Collector's Edition downloads to a 291 MB zip file that unpacks to a read me and a wrapped setup activation file (the orange colored file with the key symbol), plus there's a setup file with security (setup.gcd) that's protected from being hacked. This file may case some security software to alert the user to a possible malware attack, but it will be a false positive. The game giveaway team check all game giveaways for malware using several well known anti -malware suites. There has never been a game giveaway infected with malware since the project started back in Dec 2006. The installed game is 320 MB in size and is installed via the following path. There is no desktop shortcut installed. Be sure to make a note of where the game installs to, so that you can create one yourself. I usually use the 'send to' command from the drop down menu by right clicking on the games executable, or you can create one directly into the games folder and drag it to the desktop. Once installed you can delete the giveaway setup files. The game works on Win 7 and Win 10 computers, unfortunately I can't confirm whether it works on Win 8 as I've now upgraded all of my Win 8 computers. In Golden Trails 2: The Lost Legacy, you play the role of Henry whose Grandfather is accused of piracy and condemned to death. Travel four continents, find the ship's logbook and its missing pages to find out the truth about your Granddad's past, and save his life! But there is much more behind this story... Long forgotten legend, lost legacy, and love story await! Scour fantastic locations to find over 2 000 hidden objects and solve original puzzles as you journey through the exotic Maghreb, rainy England, hot-tempered Spain and the legendary islands of the Caribbean Sea. Play shooting gallery & puzzle mini-games, collect lost things and earn numerous trophies. Explore intriguing storyline and meat unique characters, the brightest prototypes of the epoch, in this atmospheric hidden object game Golden Trails 2: The Lost Legacy! You can see some Big Fish mini reviews of Golden Trails 2: The Lost Legacy Collector's Edition HERE, just scroll down to the middle of the page. You can also find forum discussions HERE. You can find walkthroughs HERE and HERE. ...........Video footage may contain SPOILERS.......You’ll find videos of Golden trails 2: The Lost Legacy (not necessarily the CE version) game play HERE, HERE, HERE, HERE and HERE. I've only played the first section of the game and so far think it's a winner, but unfortunately I'm not had time to play it enough to give it an informed conclusion. I doubt I will have the time later either as I've made promises to play some online Elder Scrolls with my daughter and possibly my son (I purchased three copies of the game so that we could play as a family) Hopefully we will see plenty of community input, plus I've posted mini reviews from the Big Fish community (see above). I'll finish filling in the scores if i get time to play some more later today. If you have any problems installing or getting Golden trails 2: The Lost Legacy Collector's Edition working, please go HERE for help. I've posted most of the common problems and solutions in a FAQ thread, which you can find in the sticky section of the forums by following the above link. If you do find any other fixes please post them in the FAQ's thread an I'll incorporate them into the thread when I have time (I always attribute fixes posted by the community to the member who posted them. Thank you. For those of you who are getting hits by your anti malware suites; it's because they are picking up the Themida based protection, which was put in place to protect the game from unscrupulous community members that were hacking the giveaway wrapper which then gave them unlimited access to a registered copy of the game, which was being put on peer to peer sites. Some community members were even uploading video tutorials on You tube telling you how to do it yourself. Themida based applications are sometimes seen as a threat by anti-malware. I can assure you this game and hundreds before, that have given community members cause for concern have been totally safe. The game giveaway team have managed to secure well over a thousand games for us since they first started giving away games back in late 2006; firstly via the main site (Oct 2006), then via the game giveaway site (early December 2006). There has never 'ever' been an infected game given away. If you are able to configure your anti-malware suite to allow the 'seemingly offensive' file through security, the game should then install normally. if you can't, or don't know how to, then the other way would be to temporarily turn off your protection. You do so at your own risk, but please do take into account what I've already said above; in a nut shell, every malware occurrence reported here since the game giveaway went live in Dec 2006 have been false positives due to overly sensitive anti-malware suites. It would be against the giveaway teams best interest to allow such an occurrence as it would destroy their good standing with the big search engines and I'm sure many who have frequented this site for a long time would leave. The giveaway team use several anti-malware suites to test every game given away here. Another thing to consider when you think the game is infected, if it really was, there would be hundreds of community members posting about the infection; we rarely more than a few posts for any particular game; though, since the gcd file that contains the Themida code was introduced in 2012 I have seen many more community members reporting infections due to the Themida based code found in the giveaways wrapper protection. However, out of the thousands of downloads each week, those numbers are insignificant and supports the fact that the results they are getting are actually false positives. They have always been proven to be so. If you are posting late in the day I would also suggest posting in the main giveaway forums; in the game discussion section, because I cannot moderate 24hrs a day over the weekend. I've created a thread HERE for that purpose. If you've installed today's game but it doesn’t work for some reason, it should still be registered, so someone may be able to help at a later date. Unfortunately if your problem is actually downloading it, once the giveaway deadline is reached you will no longer be able to download the game unless you've already started downloading it before the cut-off. Sometimes you can still register the game after the giveaway has ended so long as you managed to start the download before the giveaway ends. I've tested this and the grace period lasts for up to 1 hour. Apart from the above instances; i.e. already installed, but having problems running the game, (with the possibility of receiving help from the community via the giveawayoftheday game discussion forum); or still downloading after the cut off period, but within the 1 hour grace period, or registering within an hour of the cut-off period. Once the giveaway period is over there’s nothing that can be done to get the game (unless its available from one of the free game sites) until the game is given away again (though that isn't always guaranteed). It's worth checking the giveaway game discussion forums the day before the giveaways go live to see if we are getting a large sized file (I usually post a comment about approximately how large a file is if it's likely to cause problems for those with slow connections; however, if I'm particularly busy I may neglect to do this). It is especially important for those who have slow connections and even more so if the game is popular. We can have up to forty thousand (40 000) community members downloading over the 24 hour period (if the game is popular), with the bulk of community members downloading in the first 12 hours of the giveaway going live, there is always a massive strain on the giveaway servers. The bigger the file size, the more community members will be downloading at any one time. Because the bandwidth is shared equally among all community members, downloads can become excruciatingly slow, so if you do have a slow connection, its important to start your download as early as possible to avoid disappointment. Because these games are free, the giveaway owners cannot invest in more bandwidth without compromising the whole project, so we have to be satisfied with what we have at present. A download manager can help speed the download up and also protect the download in case of an interruption. There's nothing as frustrating for those with really slow connections to have the connection break after an hour or so, then have to start from the beginning again. I would ask community members if you do have decent bandwidth please avoid using a manager as it does add to the number of downloads occurring at any one time, for example some download managers will download your requested file in up to 32 packets simultaneously, that effectively will take 32 download spots, thus slowing down everyone's download speeds. For those with slow downloads (due to having a slow connection e.g. a 2MB Broadband connection or less) I would advise using a download manager if the file is larger than around 200MB. My broadband connection is 100MBs, so I don't need to use a download manager, (I do have one called Internet Download Manager, but don't use it when downloading files from the giveaway site). For me a 1GB file usually downloads in about 1.5 minutes or less. My connection is quite a long way from the provider so it is slowed a little, but is still quite good at a download speed of around 12 to 14 MB's per second. I hope the above goes some way in explaining why we sometimes have really slow downloads. It’s always worth checking out the free games sites because sometimes the games we get here are also available for free from them. MyPlayCity (MPC) has the most with over 1400 games to choose from and TooMky Games is highly recommended as well, though sometimes Gametop will have the game when the others don't. Today's game is available 24/7 from Gametop. There are 590 games on sale this week, with a new batch of games to come on Monday. You can find all of the games on sale HERE. I won't bother listing any of the games, but it should be worth visiting as there are games for all tastes. Of course you do need to install the Steam client, but IMO it is well worth it. There are lots of free games (not just free to play online games) available plus there are always games on sale. You'll often find other game distributors will sell games with a Steam key and most of the bundled games on sale usually come with a Steam key as well. GreenManGaming They usually have coupons to the value of 23% and sometimes more off pre ordered games. I've pre ordered lots of AAA games from GMG and saved up to 25% off the pre order prices you find on Steam. I've removed the Desura link because the owners are bankrupt and there has been no activity on the site in many months. The servers are still live (at least until Bad JoJo's subscription to the servers has ended, Bad JoJo are the owners of Desura and Indie Royale, or were until filing for bankruptcy). If you own any games via Desura I advise downloading all of the drm free games you have on that platform and on the Indie Royale site before the sites are taken down. FreeGamePick (I've been told by Diane that FreeGamePick games tend to revert to demo's, can't qualify this tohugh as i don't download from FreeGamePick anymore. - Puppet stage graphics with cute puppet heroes! You can get the game for $1; pay over the average to get several other games with at least one of them including a Steam key. (The price at the time of writing was $2.33). The game includes a Steam code as well as a drm free download. Pay £0.99 for the game or you can get two keys if you pay more than the average of $0.99 (at the time of writing ). One Steam key to share with a friend or family member perhaps? You'll find that deal HERE. They also have five bundles of several games that'll cost you less than $1.50 each HERE (DIG Bundles 49, 50 & 51, reBundle 10 and DIG Greenlight Bundle 3 and 4 ). You get Steam keys for all of these games apart from the DIG Greelight Bundles. If any of those games are added to the Steam store you will get a Steam key, in the mean time, you can download DRM free copies. The single game deal ends Midnight Monday 25th Jan 2016 and will be replaced with a new game. Most of the bundles available retail for around $5 give or take a few dollars (apart from the Daily Indie bundles that only cost $1.49 for six games), but you can pay as little as a dollar for some. There are some excellent bundles out at the moment. I highly recommend the first four sites as they regularly change their bundles, at least weekly. Bundle Stars is the most prolific, usually with at least 10 bundles, but sometimes a lot more. some bundles stay for months, others for only a few days. I also recommend buying the Greenlight bundles as you will get quite a few being Greenlit and save a large amount of money on newly released games. I reckon at least 75% of the games from those bundles have been Greenlit since I purchased my first Greenlight bundle. (I've bought at least 50 bundles with only Greenlight games and they have never cost more than $3 to $4 per bundle, with savings up to 90%. The flying bundle is the only one that will inform you when a game has been Greenlit and will send you your Steam keys, the rest you have to check your accounts page to see if they have added Steam keys. sometimes it may take several weeks after the game has been released before you get your keys, but generally its either the same day or a few days at the most. The free game from Origin is Jade Empire: Special Edition (Highly Recommended). This game may change soon as it's been available for almost two months now. <u><strong>Golden trails 2: The Lost Legacy Collector's Edition</strong></u>: <u><strong>In Brief</strong></u>: <blockquote>We were given the first in the series about 4 months ago (Golden trails: The New Western Rush). Golden trails 2: The Lost Legacy is very similar with respect to the mechanics, puzzles and quality graphics. 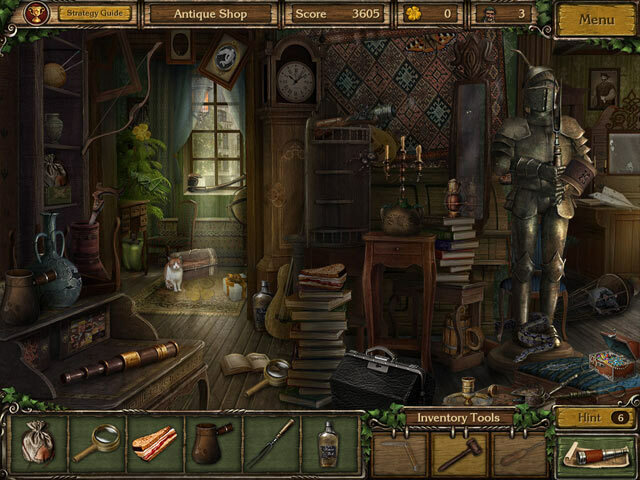 It's a subdued but nicely created Hidden Object game with excellent puzzles. The game was kindly donated by Immanitas Entertainment. Thanks a million for continuing to give us some excellent games.</blockquote> <ul><blockquote><a href='http://postimage.org/' target='_blank' rel="nofollow"><img src='http://s13.postimg.org/wc9qhwb1z/golden_trails4.jpg' border='0' alt="golden trails4" /></a></blockquote></ul> <ul><blockquote><a href='http://postimage.org/' target='_blank' rel="nofollow"><img src='http://s13.postimg.org/dinxkwctz/golden_trails3.jpg' border='0' alt="golden trails3" /></a></blockquote></ul> If you miss today's giveaway it is available free 24/7 from <a href="http://www.gametop.com/download-free-games/golden-trails-2/" rel="nofollow"><strong>Gametop</strong></a> but not from MyPlayCity or tooMky Games. The advantage of installing the giveaway version is that there is no chance of getting toolbars, home page changes, browser changes, and your browser is never opened to the donators web site when you close the game down, like it is if you get the game from any of the other free arcade game sites. <u><strong>Online gameplay</strong></u>: If you want to get a feel for the game before you download it, there's a free online version available <a href="http://www.games.com/play/awem-studio/golden-trails-2-the-lost-legacyrel="nofollow" rel="nofollow"><strong>HERE</strong></a>. <ul><blockquote><a href='http://postimage.org/' target='_blank' rel="nofollow"><img src='http://s13.postimg.org/r9nt9dcdz/golden_trails.jpg' border='0' alt="golden trails" /></a></blockquote></ul> <ul><blockquote><a href='http://postimage.org/' target='_blank' rel="nofollow"><img src='http://s13.postimg.org/4md5gym7r/golden_trails2.jpg' border='0' alt="golden trails2" /></a></blockquote></ul> <u><strong>Installation</strong></u>: Golden trails 2: The Lost Legacy Collector's Edition downloads to a 291 MB zip file that unpacks to a read me and a wrapped setup activation file (the orange colored file with the key symbol), plus there's a setup file with security (setup.gcd) that's protected from being hacked. This file may case some security software to alert the user to a possible malware attack, but it will be a false positive. The game giveaway team check all game giveaways for malware using several well known anti -malware suites. There has never been a game giveaway infected with malware since the project started back in Dec 2006. The installed game is 320 MB in size and is installed via the following path. C:\Games\GoldenTrails2TheLostLegacyCE_Game There is no desktop shortcut installed. Be sure to make a note of where the game installs to, so that you can create one yourself. I usually use the <strong><em>'send to'</em></strong> command from the drop down menu by right clicking on the games executable, or you can create one directly into the games folder and drag it to the desktop. Once installed you can delete the giveaway setup files. The game works on Win 7 and Win 10 computers, unfortunately I can't confirm whether it works on Win 8 as I've now upgraded all of my Win 8 computers. <ul><blockquote><a href='http://postimage.org/' target='_blank' rel="nofollow"><img src='http://s13.postimg.org/9c335kd87/golden_trails5.jpg' border='0' alt="golden trails5" /></a></blockquote></ul> <ul><blockquote><a href='http://postimage.org/' target='_blank' rel="nofollow"><img src='http://s10.postimg.org/mkt7bit09/screen_Golden_Trails2_01.jpg' border='0' alt="screen Golden Trails2 01" /></a></blockquote></ul> <u><strong>Introduction</strong></u>: <blockquote>In Golden Trails 2: The Lost Legacy, you play the role of Henry whose Grandfather is accused of piracy and condemned to death. Travel four continents, find the ship's logbook and its missing pages to find out the truth about your Granddad's past, and save his life! But there is much more behind this story... Long forgotten legend, lost legacy, and love story await! Scour fantastic locations to find over 2 000 hidden objects and solve original puzzles as you journey through the exotic Maghreb, rainy England, hot-tempered Spain and the legendary islands of the Caribbean Sea. Play shooting gallery & puzzle mini-games, collect lost things and earn numerous trophies. 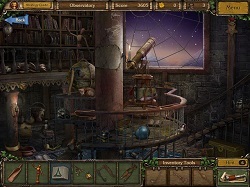 Explore intriguing storyline and meat unique characters, the brightest prototypes of the epoch, in this atmospheric hidden object game Golden Trails 2: The Lost Legacy!</blockquote> Reference accessed <a href="http://www.gametop.com/download-free-games/golden-trails-2/" rel="nofollow"><strong>HERE</strong></a> 23rd Jan 2016 <ul><blockquote><a href='http://postimage.org/' target='_blank' rel="nofollow"><img src='http://s10.postimg.org/ikm1za2jd/golden_trails_2_the_lost_legacy_scr_02.jpg' border='0' alt="golden trails 2 the lost legacy scr 02" /></a></blockquote></ul> <ul><blockquote><a href='http://postimage.org/' target='_blank' rel="nofollow"><img src='http://s10.postimg.org/3r7eeius9/screen_03.jpg' border='0' alt="screen 03" /></a></blockquote></ul> <u><strong>Reviews</strong></u>: You can see some Big Fish mini reviews of Golden Trails 2: The Lost Legacy Collector's Edition <a href="http://www.bigfishgames.com/games/6315/golden-trails-2-the-lost-legacy/" rel="nofollow"><strong>HERE</strong></a>, just scroll down to the middle of the page. You can also find forum discussions <a href="http://forums.bigfishgames.com/forums/show/2366.page" rel="nofollow"><strong>HERE</strong></a>. <u><strong>Walkthrough</strong></u>: You can find walkthroughs <a href="http://www.bigfishgames.com/blog/walkthrough/golden-trails-2-the-lost-legacy-walkthrough/" rel="nofollow"><strong>HERE</strong></a> and <a href="http://www.gamezebo.com/2011/06/09/golden-trails-2-lost-legacy-walkthrough-cheats-strategy-guide/" rel="nofollow"><strong>HERE</strong></a>. <ul><blockquote><a href='http://postimage.org/' target='_blank' rel="nofollow"><img src='http://s10.postimg.org/5mu6pojmh/screen2.jpg' border='0' alt="screen2" /></a></blockquote></ul> <ul><blockquote><a href='http://postimage.org/' target='_blank' rel="nofollow"><img src='http://s10.postimg.org/8sesfw28p/screen1.jpg' border='0' alt="screen1" /></a></blockquote></ul> <u><strong>The Game</strong></u>: <blockquote>The game begins as Captain Morgan tosses your grandfather in jail on the basis he’s actually the notorious Pirate Kidd. Morgan will let your grandfather loose if you can track down the logbook from his pirate ship, but don’t be too hasty to hand it over. Within its pages you’ll discover not only the truth about your grandfather’s past, but also the location of secret treasure. Your search will send you all over the world – Europe, the Caribbean, South America, and beyond – and require you to investigate several different areas at each location. 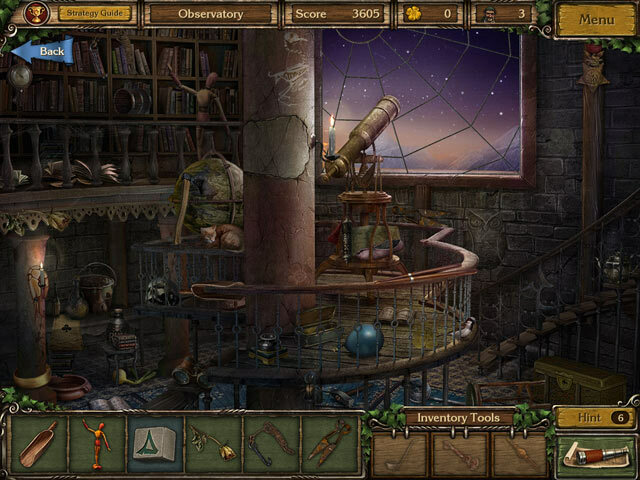 The objects you need to find are displayed as icons at the bottom of the screen, though they’re not always to scale in the environment itself, which adds to the challenge. There are three different kinds of objects to find: those in plain sight, those that will be added to your inventory, and those that need a little extra effort to discover. Most scenes contain a few different hotspots, highlighted in either yellow or blue. The yellow areas can be interacted with immediately, and reveal a hidden item, but those in blue will need something from your inventory before they give up the goods. Don’t just click away, however – the inventory tool you need might be hiding in a completely different location, so make sure you think about what actually needs to be done.</blockquote> <ul><blockquote><a href='http://postimage.org/' target='_blank' rel="nofollow"><img src='http://s10.postimg.org/nur0qkms9/golden_trails_2_the_lost_legacy_scr_01.jpg' border='0' alt="golden trails 2 the lost legacy scr 01" /></a></blockquote></ul> <ul><blockquote><a href='http://postimage.org/' target='_blank' rel="nofollow"><img src='http://s10.postimg.org/6ro8v263d/Golden_Trails_2_The_Lost_Legacy_Premium_Edition.jpg' border='0' alt="Golden Trails 2 The Lost Legacy Premium Edition" /></a></blockquote></ul> <blockquote>The items on your list are often similar, but always drawn so differently that the hunts feel fresh even after you’ve located your 20th bottle. The artists really enjoyed making the most out of the game’s different settings, and each environment feels completely distinct. The sunken ship, the slave market, your grandfather’s mansion – no two locations look alike, resulting in searches that are constantly eye-catching and fresh. The objects on your list aren’t the only things you’ll be searching for, though. Lucky clovers are sprinkled throughout the scenes, and lost treasures are also quietly hiding in plain sight. Finding 150 clovers unlocks a special mission that you can tackle once the game is complete; tracking down the treasures nets you points and trophies. Shooting bandits in the between-levels minigame nets you more clovers, pretty much guaranteeing those with swift mouse fingers will rack up the necessary 150 with little trouble. You don’t have to bother with either of these extras in order to finish the game, but they add a wonderfully addictive subgame to The Lost Legacy. Racking up trophies for everything from scoring a certain amount of points, to finding items particularly accurately or quickly pushes you to hone your skills to their finest, resisting the urge to use hints or skips. The Lost Legacy offers a smattering of puzzles and mini-games, all of which are skippable if you’d rather not be bothered. Though they tend to fit in thematically with their environment rather nicely, they do tend to be a bit repetitive in their presentation. Putting objects in the correct order gets a bit bland after you’ve done it first with books, then with statues, and later with tiles. They also tend to be a bit too easy and overly forgiving; just dropping a jigsaw piece in the vague neighborhood where it belongs is enough to get it to snap into place.</blockquote> <ul><blockquote><a href='http://postimage.org/' target='_blank' rel="nofollow"><img src='http://s10.postimg.org/kio4jj5nd/Golden_Trails_2_The_Lost_Legacy_Collectors_Editi.jpg' border='0' alt="Golden Trails 2 The Lost Legacy Collectors Editi" /></a></blockquote></ul> <ul><blockquote><a href='http://postimage.org/' target='_blank' rel="nofollow"><img src='http://s10.postimg.org/mefi8fjvd/golden_trails_2_the_lost_legacy_collectors_editi.jpg' border='0' alt="golden trails 2 the lost legacy collectors editi" /></a></blockquote></ul> <blockquote>The story of The Lost Legacy is a bit of a head scratcher; it hops from England to Spain to the Caribbean and beyond, tying together pirates, a voodoo witch, a Caliph’s daughter, a hidden medallion, and of course ill-gotten loot. It’s the kind of tale that makes sense as a globe-spanning romp, but characters and events seem to come out of nowhere. The painful voice acting during the cut scenes doesn’t make it any easier to pay close attention to the plot, but the summaries that close out each location help keep the main points straight. Golden Trails 2: The Lost Legacy’s story might not make a lot of sense, but the game has so much great stuff to offer hidden object fans that it’s hard to knock it too much. You’ll tear through this one in an afternoon, then go back to get those last few elusive trophies.</blockquote> Reference accessed <a href="http://www.gamezebo.com/2011/06/06/golden-trails-2-lost-legacy-review/" rel="nofollow"><strong>HERE</strong></a> 23rd Jan 2016 <ul><blockquote><a href='http://postimage.org/' target='_blank' rel="nofollow"><img src='http://s10.postimg.org/qh1xtrom1/golden_trails_2_the_lost_legacy_collectors_editi.jpg' border='0' alt="golden trails 2 the lost legacy collectors editi" /></a></blockquote></ul> <ul><blockquote><a href='http://postimage.org/' target='_blank' rel="nofollow"><img src='http://s10.postimg.org/8i2oisy8p/golden_trails_2_the_lost_legacy_collectors_editi.jpg' border='0' alt="golden trails 2 the lost legacy collectors editi" /></a></blockquote></ul> <u><strong>Video</strong></u>: <em><strong>...........Video footage may contain SPOILERS.......</strong></em>You’ll find videos of Golden trails 2: The Lost Legacy (not necessarily the CE version) game play <a href="https://www.youtube.com/watch?v=q-IOsuvKv4s" rel="nofollow"><strong>HERE</strong></a>, <a href="https://www.youtube.com/watch?v=3p4r3Pd0mRM" rel="nofollow"><strong>HERE</strong></a>, <a href="https://www.youtube.com/watch?v=fFOrUSDFv8k" rel="nofollow"><strong>HERE</strong></a>, <a href="https://www.youtube.com/watch?v=PduZZid4fYU" rel="nofollow"><strong>HERE</strong></a> and <a href="https://www.youtube.com/watch?v=wBg83gdPM78" rel="nofollow"><strong>HERE</strong></a>. <u><strong>Music</strong></u>: If you wish to change the in game music you can find the music files via the following path: C:\Games\GoldenTrails2TheLostLegacyCE_Game\assets\extras\soundtracks\x.mp3 The files are MP3's so there's no need to convert your usual music files unless you have the higher quality FLAC files. Before you copy the files into the appropriate folder, you will need to change the names of the files to the default names. I recommend backing up the originals first just in case you want to change them back. I personally think the music goes really well with the game and adds atmosphere. :) <ul><blockquote><a href='http://postimage.org/' target='_blank' rel="nofollow"><img src='http://s10.postimg.org/c9c954bx5/golden_trails_2_the_lost_legacy_ce_screen3.jpg' border='0' alt="golden trails 2 the lost legacy ce screen3" /></a></blockquote></ul> <ul><blockquote><a href='http://postimage.org/' target='_blank' rel="nofollow"><img src='http://s10.postimg.org/y5ys5hp3t/Golden_Trails_2_The_Lost_Legacy_2.jpg' border='0' alt="Golden Trails 2 The Lost Legacy 2" /></a></blockquote></ul> <u><strong>System Requirements</strong></u>: OS: Windows XP/Vista/8 CPU: 1.0 GHz RAM: 1024 MB DirectX: 9.0 Hard Drive: 278 MB <u><strong>Conclusion</strong></u>: I've only played the first section of the game and so far think it's a winner, but unfortunately I'm not had time to play it enough to give it an informed conclusion. I doubt I will have the time later either as I've made promises to play some online Elder Scrolls with my daughter and possibly my son (I purchased three copies of the game so that we could play as a family) Hopefully we will see plenty of community input, plus I've posted mini reviews from the Big Fish community (see above). <u><strong>Scoring</strong></u> I'll finish filling in the scores if i get time to play some more later today. Game play: Graphics: 8 Audio: 8 Replayability: Originality: Fun Factor: <u><blockquote>------------------------------------------------------------------------------------------------------------------</blockquote></u> <u><strong>Problems</strong></u>: If you have any problems installing or getting Golden trails 2: The Lost Legacy Collector's Edition working, please go <a href="http://www.giveawayoftheday.com/forums/topic/11647#post-101133" rel="nofollow"><strong>HERE</strong></a> for help. I've posted most of the common problems and solutions in a FAQ thread, which you can find in the sticky section of the forums by following the above link. If you do find any other fixes please post them in the FAQ's thread an I'll incorporate them into the thread when I have time (I always attribute fixes posted by the community to the member who posted them. Thank you. <blockquote><em><strong>If you think the game is infected - IMPORTANT - PLEASE READ</strong></em></blockquote> <blockquote><em><strong>For those of you who are getting hits by your anti malware suites; it's because they are picking up the Themida based protection, which was put in place to protect the game from unscrupulous community members that were hacking the giveaway wrapper which then gave them unlimited access to a registered copy of the game, which was being put on peer to peer sites. Some community members were even uploading video tutorials on You tube telling you how to do it yourself.</blockquote> <ul><blockquote><a href='http://postimage.org/' target='_blank' rel="nofollow"><img src='http://s10.postimg.org/6ayfuvsyh/golden_trails_2_the_lost_legacy.jpg' border='0' alt="golden trails 2 the lost legacy" /></a></blockquote></ul> <ul><blockquote><a href='http://postimage.org/' target='_blank' rel="nofollow"><img src='http://s10.postimg.org/k0sz3og2h/3710_gt2ll97.jpg' border='0' alt="3710 gt2ll97" /></a></blockquote></ul> <ul><blockquote><a href='http://postimage.org/' target='_blank' rel="nofollow"><img src='http://s10.postimg.org/uazzgnvbt/golden_trails_2_the_lost_legacy_screenshot3.jpg' border='0' alt="golden trails 2 the lost legacy screenshot3" /></a></blockquote></ul> <blockquote>Themida based applications are sometimes seen as a threat by anti-malware. I can assure you this game and hundreds before, that have given community members cause for concern have been totally safe. The game giveaway team have managed to secure well over a thousand games for us since they first started giving away games back in late 2006; firstly via the main site (Oct 2006), then via the game giveaway site (early December 2006). There has never 'ever' been an infected game given away. If you are able to configure your anti-malware suite to allow the 'seemingly offensive' file through security, the game should then install normally. if you can't, or don't know how to, then the other way would be to temporarily turn off your protection. You do so at your own risk, but please do take into account what I've already said above; in a nut shell, every malware occurrence reported here since the game giveaway went live in Dec 2006 have been false positives due to overly sensitive anti-malware suites. It would be against the giveaway teams best interest to allow such an occurrence as it would destroy their good standing with the big search engines and I'm sure many who have frequented this site for a long time would leave. The giveaway team use several anti-malware suites to test every game given away here. Another thing to consider when you think the game is infected, if it really was, there would be hundreds of community members posting about the infection; we rarely more than a few posts for any particular game; though, since the gcd file that contains the Themida code was introduced in 2012 I have seen many more community members reporting infections due to the Themida based code found in the giveaways wrapper protection. However, out of the thousands of downloads each week, those numbers are insignificant and supports the fact that the results they are getting are actually false positives. They have always been proven to be so.</strong></em></blockquote> If you are posting late in the day I would also suggest posting in the main giveaway forums; in the game discussion section, because I cannot moderate 24hrs a day over the weekend. I've created a thread <a href="http://www.giveawayoftheday.com/forums/topic/257721" rel="nofollow"><strong>HERE</strong></a> for that purpose. If you've installed today's game but it doesn’t work for some reason, it should still be registered, so someone may be able to help at a later date. Unfortunately if your problem is actually downloading it, once the giveaway deadline is reached you will no longer be able to download the game unless you've already started downloading it before the cut-off. Sometimes you can still register the game after the giveaway has ended so long as you managed to start the download before the giveaway ends. I've tested this and the grace period lasts for up to 1 hour. Apart from the above instances; i.e. already installed, but having problems running the game, (<em>with the possibility of receiving help from the community via the giveawayoftheday game discussion forum</em>); or still downloading after the cut off period, but within the 1 hour grace period, or registering within an hour of the cut-off period. Once the giveaway period is over there’s nothing that can be done to get the game (<em>unless its available from one of the free game sites</em>) until the game is given away again (<em>though that isn't always guaranteed</em>). It's worth checking the giveaway game discussion forums the day before the giveaways go live to see if we are getting a large sized file (I usually post a comment about approximately how large a file is if it's likely to cause problems for those with slow connections; however, if I'm particularly busy I may neglect to do this). It is especially important for those who have slow connections and even more so if the game is popular. We can have up to forty thousand (40 000) community members downloading over the 24 hour period (<em>if the game is popular</em>), with the bulk of community members downloading in the first 12 hours of the giveaway going live, there is always a massive strain on the giveaway servers. The bigger the file size, the more community members will be downloading at any one time. Because the bandwidth is shared equally among all community members, downloads can become excruciatingly slow, so if you do have a slow connection, its important to start your download as early as possible to avoid disappointment. Because these games are free, the giveaway owners cannot invest in more bandwidth without compromising the whole project, so we have to be satisfied with what we have at present. A download manager can help speed the download up and also protect the download in case of an interruption. There's nothing as frustrating for those with really slow connections to have the connection break after an hour or so, then have to start from the beginning again. I would ask community members if you do have decent bandwidth please avoid using a manager as it does add to the number of downloads occurring at any one time, for example some download managers will download your requested file in up to 32 packets simultaneously, that effectively will take 32 download spots, thus slowing down everyone's download speeds. For those with slow downloads (<em>due to having a slow connection e.g. a 2MB Broadband connection or less</em>) I would advise using a download manager if the file is larger than around 200MB. My broadband connection is 100MBs, so I don't need to use a download manager, (I do have one called Internet Download Manager, but don't use it when downloading files from the giveaway site). For me a 1GB file usually downloads in about 1.5 minutes or less. My connection is quite a long way from the provider so it is slowed a little, but is still quite good at a download speed of around 12 to 14 MB's per second. I hope the above goes some way in explaining why we sometimes have really slow downloads. It’s always worth checking out the free games sites because sometimes the games we get here are also available for free from them. MyPlayCity (MPC) has the most with over 1400 games to choose from and TooMky Games is highly recommended as well, though sometimes Gametop will have the game when the others don't. 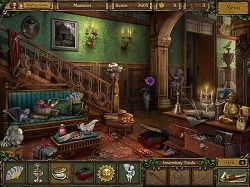 Today's game is available 24/7 from <a href="http://www.gametop.com/download-free-games/golden-trails-2/" rel="nofollow"><strong>Gametop</strong></a>. If you do download any games from these free game sites please '<strong><em>do</em></strong>' watch out for toolbars etc. Make sure you un-check the check-boxes during installation, and, in the case of MyPlayCity, every time you boot the game up, (<em>this may have changed now as these free game sites tend to change the format frequently</em>). I've not downloaded any from these sites in ages so can't confirm whether they have changed....... I've posted links to all of the common free game sites below in the <strong><em>'games, games and yet more games'</em></strong> section. If you do download a game from any of these sites you do so at your own risk. We cannot be held responsible for problems arising from an installation recommended here. :) The gamegiveaway site is the safest site I know of where you can get free software and games. (BitsduJour is also great for free applications). The only disadvantages with downloading from here is you have to download and install within the day of the giveaway and if and when you upgrade or buy a new computer legally you aren't allowed to transfer games given away previously, unless they are being given away again after you upgrade, or if you've purchased a license. :) You just have to look at the sites track record since the game giveaway site was created back in December 2006. No games given away here since the inception of the gamegiveaway site have been infected with malware, there are no toolbars installed, nor home pages hijacked or browsers changed. There is one slight annoyance, but that only occurs if a community member isn't paying attention; i.e. when the final window pops up after installing a giveaway, called 'the Software Informer' installation window. Some community members have complained that they were given no choice in its installation. That is not true; when the final window pops up, there are two buttons, one asking if you want Software Informer installed and the button to close the giveaway window down. Some community members have clicked on the wrong button, probably because they weren't paying attention. Thankfully Software Informer is a genuine application, that can easily be uninstalled by the usual means. It's actually a useful piece of software, especially if you have a lot of applications running on your computer. Basically the program will list the programs that need updating, or programs that have available updates. They wont be automatically installed (thus cancelling many giveaway registrations); you have to click on individual buttons to update each program/application. :D <u><blockquote>------------------------------------------------------------------------------------------------------------------</blockquote></u> <u><strong>Games, Games, and yet more Games</strong></u>: There are 590 games on sale this week, with a new batch of games to come on Monday. You can find all of the games on sale <a href="http://store.steampowered.com/" rel="nofollow"><strong>HERE</strong></a>. I won't bother listing any of the games, but it should be worth visiting as there are games for all tastes. Of course you do need to install the Steam client, but IMO it is well worth it. There are lots of free games (not just free to play online games) available plus there are always games on sale. You'll often find other game distributors will sell games with a Steam key and most of the bundled games on sale usually come with a Steam key as well. You'll find some excellent deals over on the following Game sites. <a href="http://www.greenmangaming.com/hot-deals/" rel="nofollow"><strong>GreenManGaming</strong></a> They usually have coupons to the value of 23% and sometimes more off pre ordered games. I've pre ordered lots of AAA games from GMG and saved up to 25% off the pre order prices you find on Steam. <a href="http://www.gamersgate.co.uk/" rel="nofollow"><strong>Gamersgate Summer Sale</strong></a> <a href="http://www.gog.com/" rel="nofollow"><strong>GOG</strong></a> (<em>DRM free games</em>) <a href="http://www.gamestop.co.uk/" rel="nofollow"><strong>Gamestop</strong></a> <a href="http://digital.gamefly.co.uk/#!/pc" rel="nofollow"><strong>GameFly</strong></a> (<em>soon to be sold off</em>) I've removed the Desura link because the owners are bankrupt and there has been no activity on the site in many months. The servers are still live (at least until Bad JoJo's subscription to the servers has ended, Bad JoJo are the owners of Desura and Indie Royale, or were until filing for bankruptcy). If you own any games via Desura I advise downloading all of the drm free games you have on that platform and on the Indie Royale site before the sites are taken down. <u><strong>Free Game Sites</strong></u>: <a href="http://toomkygames.com/" rel="nofollow"><strong>Toomky Games</strong></a> <a href="http://www.myplaycity.com/" rel="nofollow"><strong>MyPlayCity</strong></a> (over a 1000 games to choose from) <a href="http://www.gametop.com/" rel="nofollow"><strong>Gametop</strong></a> <a href="http://freegamepick.net/en/" rel="nofollow"><strong>FreeGamePick</strong></a> (I've been told by Diane that FreeGamePick games tend to revert to demo's, can't qualify this tohugh as i don't download from FreeGamePick anymore. To be honest there are too many game deals around too list them all. Just visit the sites I recommend above and I'm sure you'll find something that suits you for a very decent price. If like me you prefer Steamworks games, many of the above sites also sell Steamwork games. If that's not enough, check out the Game Discussion forums <a href="http://www.giveawayoftheday.com/forums/forum/17" rel="nofollow"><strong>HERE</strong></a> for details of other games either free or on deals such as the Indie Game bundles (there's over 20 of them - If you purchased all of them you'd be paying around $80 for around a thousand dollars worth of games); or check out the four day sales at <a href="https://indiegamestand.com/" rel="nofollow"><strong>IndieGameStand</strong></a>. you'll find the indie bundles thread <a href="http://www.giveawayoftheday.com/forums/topic/100253#post-202848" rel="nofollow"><strong>HERE</strong></a>. The thread is outdated, but all of the links will still take you to the latest bundles. The latest IndieGameStand game is Tap Heroes <blockquote>Features: - Over 70 different enemies and bosses - 10 different areas - A Distinct group of heroes with different abilities - Interesting powers to unleash on your enemies - Mix of RPG and clicker grind elements with tons of skills to upgrade - Achievements to unlock - Ridiculous amounts of loot - Possibly infinite gameplay - Puppet stage graphics with cute puppet heroes! </blockquote> You can get the game for $1; pay over the average to get several other games with at least one of them including a Steam key. (The price at the time of writing was $2.33). The game includes a Steam code as well as a drm free download. The deal ends Jan 24th *Sunday morning) 2016 5am (GMT) The latest DIG game is Space Thinger <blockquote>Space Thinger is a thrilling arcade space shooter! Fight your way through multiple combat zones completing missions, mining asteroids for crystals and collecting the debris of your fallen foes to upgrade your ship and engage in ever more epic space battles. </blockquote> Pay £0.99 for the game or you can get two keys if you pay more than the average of $0.99 (at the time of writing ). One Steam key to share with a friend or family member perhaps? You'll find that deal <a href="http://www.dailyindiegame.com/" rel="nofollow"><strong>HERE</strong></a>. They also have five bundles of several games that'll cost you less than $1.50 each <a href="http://www.dailyindiegame.com/bundle_2.html" rel="nofollow"><strong>HERE</strong></a> (DIG Bundles 49, 50 & 51, reBundle 10 and DIG Greenlight Bundle 3 and 4 ). You get Steam keys for all of these games apart from the DIG Greelight Bundles. If any of those games are added to the Steam store you will get a Steam key, in the mean time, you can download DRM free copies. The single game deal ends Midnight Monday 25th Jan 2016 and will be replaced with a new game. Most of the bundles available retail for around $5 give or take a few dollars (apart from the Daily Indie bundles that only cost $1.49 for six games), but you can pay as little as a dollar for some. There are some excellent bundles out at the moment. I highly recommend the first four sites as they regularly change their bundles, at least weekly. Bundle Stars is the most prolific, usually with at least 10 bundles, but sometimes a lot more. some bundles stay for months, others for only a few days. I also recommend buying the Greenlight bundles as you will get quite a few being Greenlit and save a large amount of money on newly released games. I reckon at least 75% of the games from those bundles have been Greenlit since I purchased my first Greenlight bundle. (I've bought at least 50 bundles with only Greenlight games and they have never cost more than $3 to $4 per bundle, with savings up to 90%. The flying bundle is the only one that will inform you when a game has been Greenlit and will send you your Steam keys, the rest you have to check your accounts page to see if they have added Steam keys. sometimes it may take several weeks after the game has been released before you get your keys, but generally its either the same day or a few days at the most. <a href="https://www.bundlestars.com/en/games?page=1&types=bundle" rel="nofollow"><strong>Bundle Stars</strong></a> (26 bundles) <a href="https://groupees.com/" rel="nofollow"><strong>Groupees</strong></a> (3 bundles) <a href="https://www.indiegala.com/" rel="nofollow"><strong>Indie Gala</strong></a> (5 bundles) <a href="https://www.humblebundle.com/" rel="nofollow"><strong>Humble bundle</strong></a> (2 Bundles) <a href="http://www.indieroyale.com/" rel="nofollow"><strong>Indie Royale</strong></a> (this bundle is no longer live) <a href="http://www.bundlebandits.com/" rel="nofollow"><strong>Bundle Bandits</strong></a> (0 bundles) <a href="https://www.blinkbundle.com/" rel="nofollow"><strong>Blink Bundle</strong></a> (0 bundles) <a href="http://www.playinjector.com/" rel="nofollow"><strong>Play Injector</strong></a> (0 bundle) <a href="http://getloadedgo.com/" rel="nofollow"><strong>Get Loaded</strong></a> (0 bundles) <a href="http://gamesrage.org/" rel="nofollow"><strong>Games Rage</strong></a> (0 bundles) <a href="http://www.flyingbundle.com/" rel="nofollow"><strong>Flying bundle</strong></a> (1 bundles) <u><strong>FREE GAME</strong></u>: The free game from Origin is Jade Empire: Special Edition (Highly Recommended). This game may change soon as it's been available for almost two months now. <blockquote>Step into the role of an aspiring martial-arts master and follow the path of the open palm or the closed fist. In this multi-award-winning action-RPG, your choices and actions will determine the fate of the entire Jade Empire. Will you prevent the destruction of this beautiful land, or will you crush it beneath your heel? Are you a warrior who uses his strength and fighting mastery to bring peace, or will you instead use your power to bring pain and ruin? The choice is yours. <u><strong>Game Features</strong></u>: The Original Award Winning Jade Empire An incredible, engaging story that makes you the noble hero or the treacherous villain! A wealth of fascinating characters to interact with. Beautiful, mysterious lands to explore, discover, and save...or conquer. A rich blend of role-playing and exciting real-time combat. New monsters and enemies. New fighting styles. Customizable, intuitive controls including support for game-pads and keyboard/mouse. Increased graphics resolutions and new visual effects. Improved combat AI and difficulty levels. New world map interface.</blockquote> Check it out <a href="https://www.origin.com/en-gb/store/free-games/on-the-house" rel="nofollow"><strong>HERE</strong></a>. You do need a free Origin account and install the Origin client to get these free games. Once you've installed the Origin client and signed into your account select 'On the house' from the 'Free Games' drop down menu. Then select download now. The game will then be registered to your Origin account permanently. <ul><blockquote>----------------------------------------------------------------------------------</blockquote></ul> <u><em><strong>A Request for help</strong></em></u>: <blockquote>Developers rely on good feedback to improve their games. If you download this game please take some time once you’ve played it a while to leave some constructive feedback either positive or negative. The more constructive feedback we get, the more likely developers are going to give more games away. The giveaway site already has a very good standing with the search engines. Developers want their products out there on the WWW, this site has the potential to do that. The game giveaway project gives away on average between 9 to 17 thousand downloads for each game depending upon what genre and how obscure the game is. That’s a lot of homes these games are being downloaded into and a lot of 'potential' cash that’s being lost by the developers. If we get better games because of better feedback, the community are likely to continue to benefit from the generosity of the developers. Satisfied community members are then more likely to visit the home sites of those developers and purchase games that they may not have bothered with before they discovered the developer via the game giveaway site, thus giving the developers more incentives to give away even more decent games.